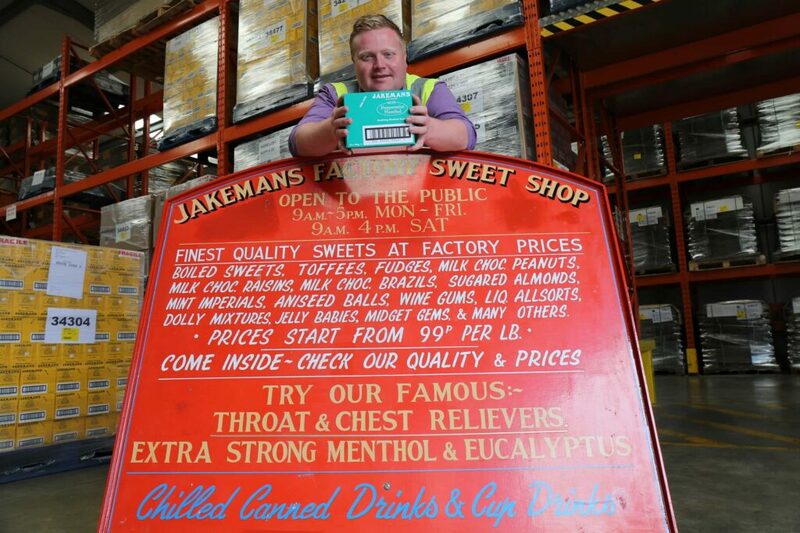 Established in Boston, England in 1907, Jakemans specialises in producing quality menthol based natural throat and chest remedies. 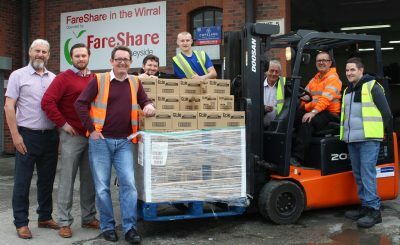 Although Jakemans remains in Lincolnshire to this day, the privately run confectionary business has also made their move to America, where a wide range of their products are sold. Due to the quality natural ingredients that Jakemans use in their sweets, they joined the leading provider of alternative natural remedies, LanesHealth, in 2007. As a company that focusses on people’s health and wellbeing, LanesHealth and its partnering companies are passionate about keeping their employees safe and healthy. 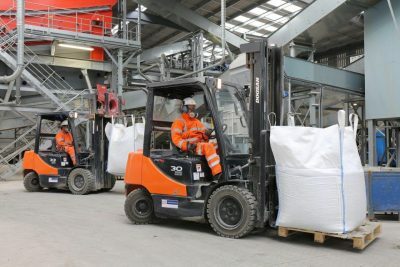 With this in mind, when Lincolnshire-based Jakemans approached Windsor Material Handling to look at materials handling equipment for use at their Sutterton site, safety and productivity were important factors. 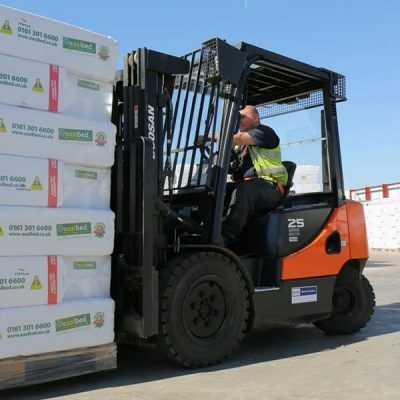 Jakemans required an additional forklift truck due to an increase in their workload, and a Doosan 7 Series electric counterbalance truck was supplied. 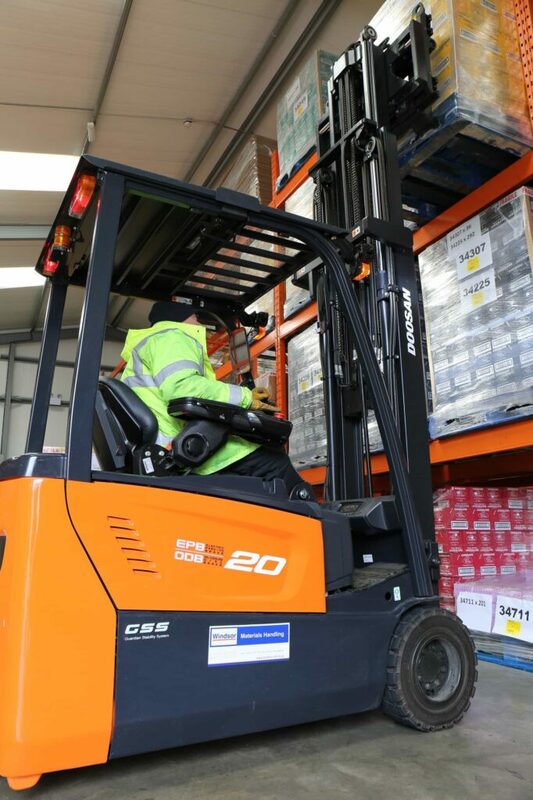 The Series 7 provides excellent safety and visibility and Doosan currently holds a number of export, design and safety awards, including five Forklift Truck Association Awards for Design Excellence. Jakemans will benefit from improved productivity and a reduction in stress and fatigue thanks to the ergonomically designed operator compartment providing optimal visibility and the latest approaching hydraulic controls. It’s good news for operators too, with researchers suggesting people under stress are more likely to catch a cold when exposed to a virus than people who aren’t, something Jakemans’ health conscious managers can no doubt relate to. In order to dispose of waste cardboard and drums in a safe manner, the customer also had a requirement for an attachment for the new truck. A Kaup 1.5T411 Fork Clamp attachment with slip on drum arms was supplied, which will provide Jakemans with the highest rate of stability and safety when operating the new machine. As well as the new forklift and attachment, a Doosan LEDH20M Electric Powered Pallet Truck was also delivered due to their current unit being up for renewal. The low energy consumption, easy maintenance and powerful drive motor of the truck will enable Jakemans to move goods around their facility in Boston much more quickly. 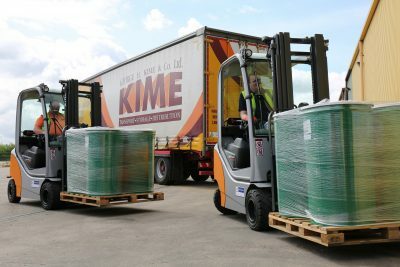 The truck is also agile with great manoeuvrability and its small turning radius allows for smooth operation in the relatively small space between production, packing and storage. 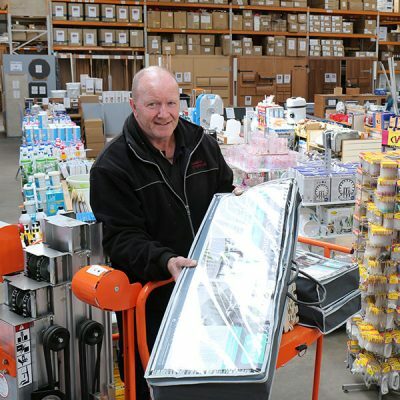 David Hodgkinson, Sales Manager at Windsor Material Handling believes listening to customers closely but also providing fresh ideas is behind the success of their material handling solution. “Ensuring you know the requirements of the customer is absolutely key before you can start to make any recommendations. However, it sometimes takes a fresh perspective to find the perfect solution,” He says.